We knew today would be awkward, considering all of the previous leaks, but Google made Pixel 3 and Pixel 3 XL official this morning. So far, there hasn’t been any surprises and these phones align with basically everything we’ve seen up to today. For specs, Pixel 3 features a 5.5″ FHD AMOLED (2160×1080, 440ppi) display, Snapdragon 845 processor, 4GB RAM, 64GB storage (up to 128GB available for extra price), single rear-facing 12-megapixel camera, 2915mAh, Active Edge, and Android 9 Pie. Pixel 3 XL’s specs are nearly identical, though, the display is 6.3″ QHD AMOLED (2960×1440) with a top notch and the battery size is 3450mAh. A lot of the new features for Pixel 3 and 3 XL appear to be software-based. For example, Google highlights the changes for Google Lens, Google Assistant, and Gmail. Many of these things were detailed at this year’s Google I/O, but because these phones ship with Android 9 Pie, they’ll be available immediately for Pixel buyers. Lastly, Google is offering unlimited Google Photos storage when uploading in Original Quality, good until the year 2022. Pixel 3 starts at $799 ($899 for 128GB) and Pixel 3 XL starts at $899 ($999 for 128GB). Both phones go up for pre-order today. 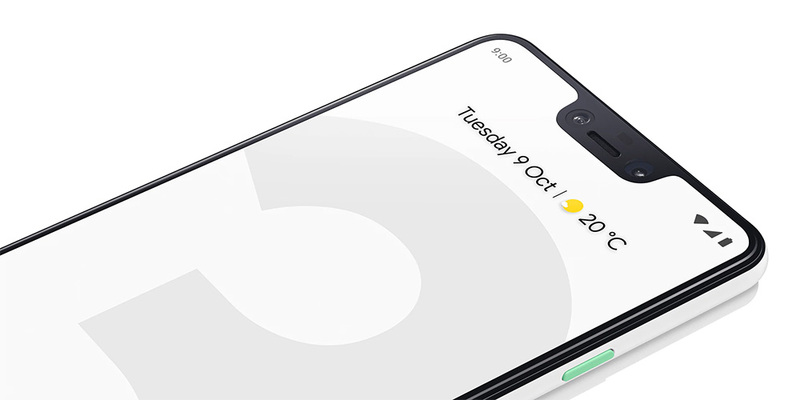 Google Pixel 3 and Pixel 3 XL, Home Hub Now Up for Pre-Order!